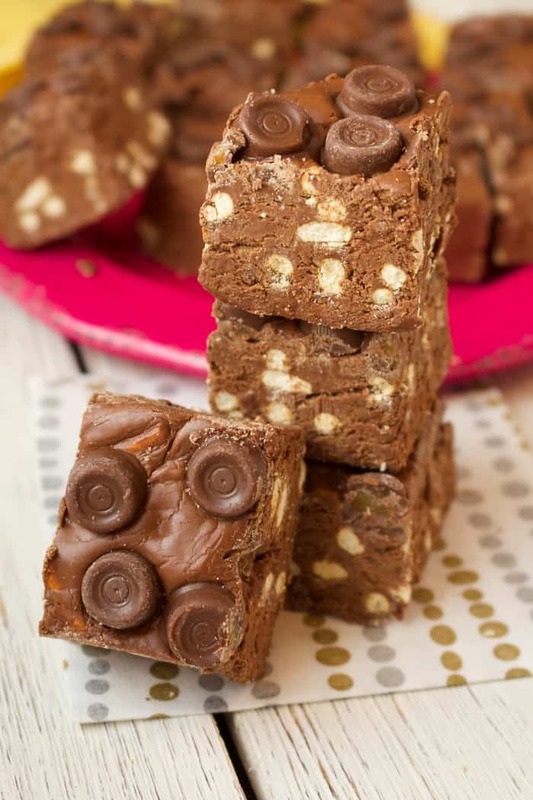 I’m currently sitting in my office eating carrot sticks and guacamole but dreaming of this Rolo Pretzel Fudge. 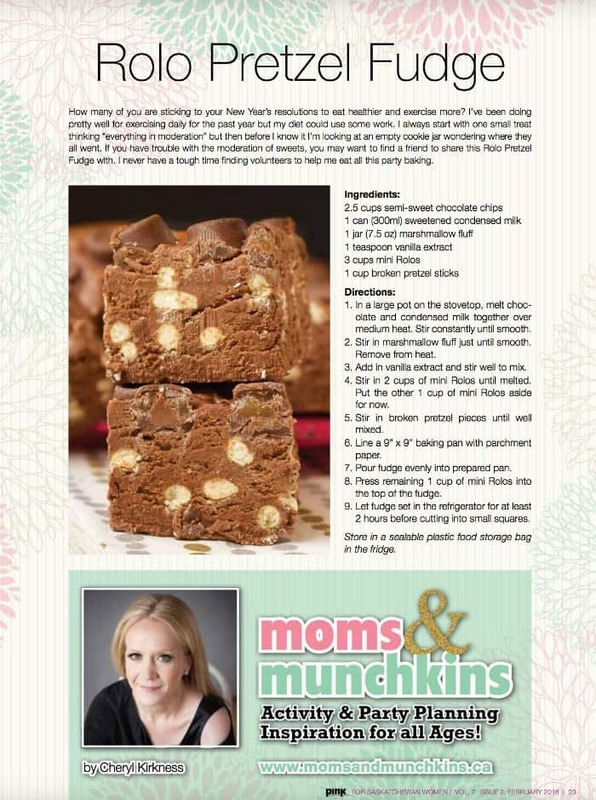 This fudge is a delicious combination of salty and sweet and it’s my latest recipe feature in Pink Magazine. With just 6 ingredients, it’s really easy to make. This takes less than 10 minutes to prepare but you’ll need to let it chill in the fridge for at least 2 hours before cutting into squares. While you’re waiting for it to chill in the fridge, go ahead and scrape out the pot for any extras to eat. That counts as cleaning dishes, right? 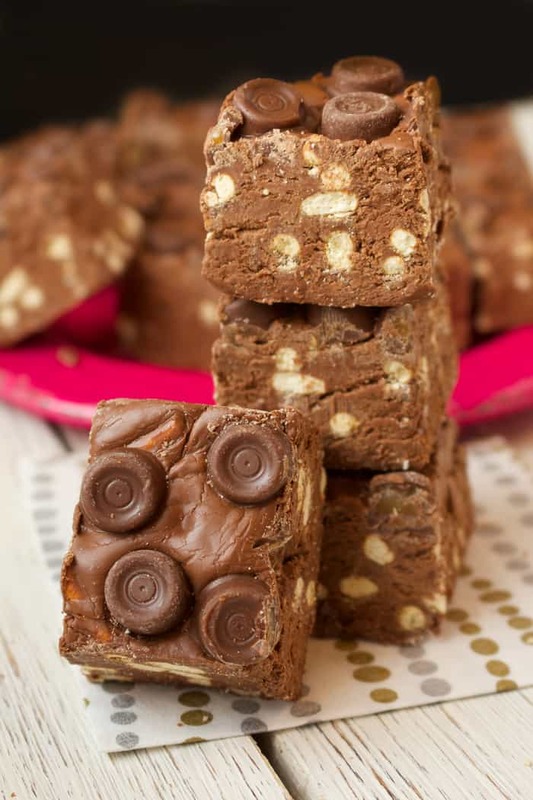 This Rolo Pretzel Fudge is super sweet so you’ll want to cut this into small squares. 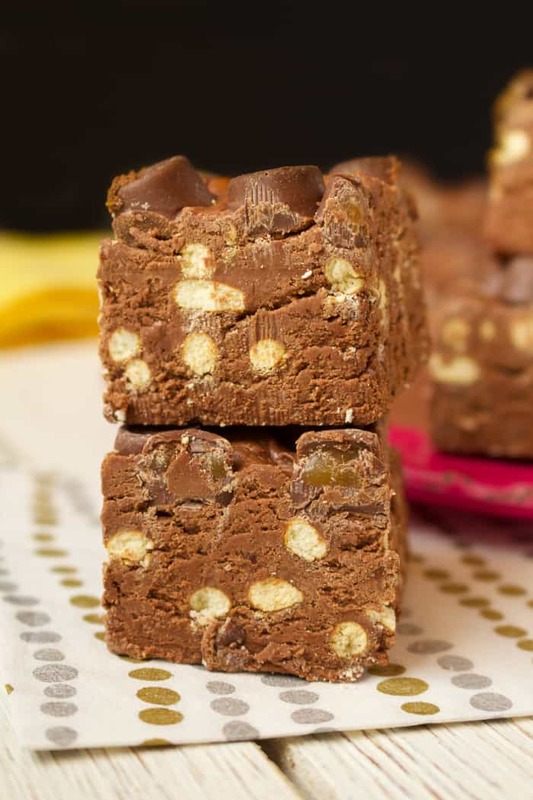 If you’ve been reading Moms & Munchkins for a while, you know I love sweets but big squares of this fudge are even a little too much for me. So cutting small 1-inch squares are a good place to start with this fudge. This is a great treat to pack into baking tins. Do you make baking tins for friends and family over the holidays? Valentine’s Day is coming up – maybe you can make some treat tins for your BFFs. Who wouldn’t love receiving chocolate, right? I think enough time has passed now that those healthy eating new year’s resolutions are done. 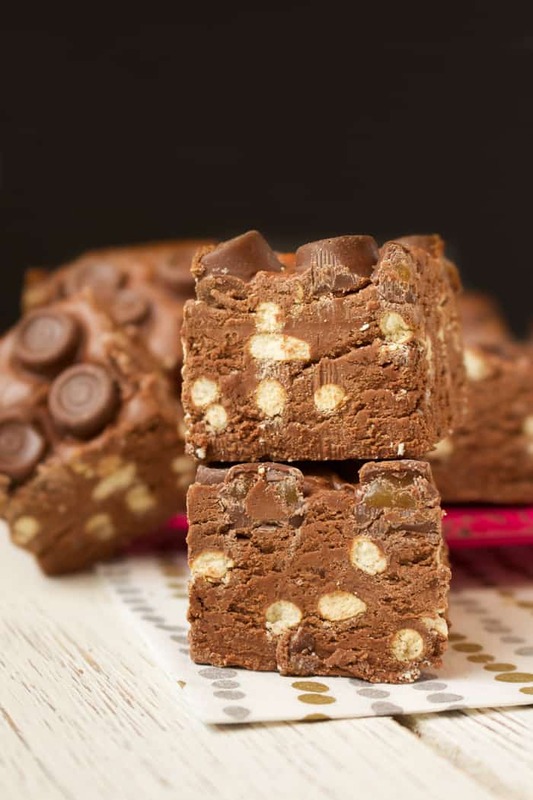 Goodbye broccoli, hello fudge! You can view the full recipe online in the latest edition of Pink Magazine. Do you love sweet & salty treats? 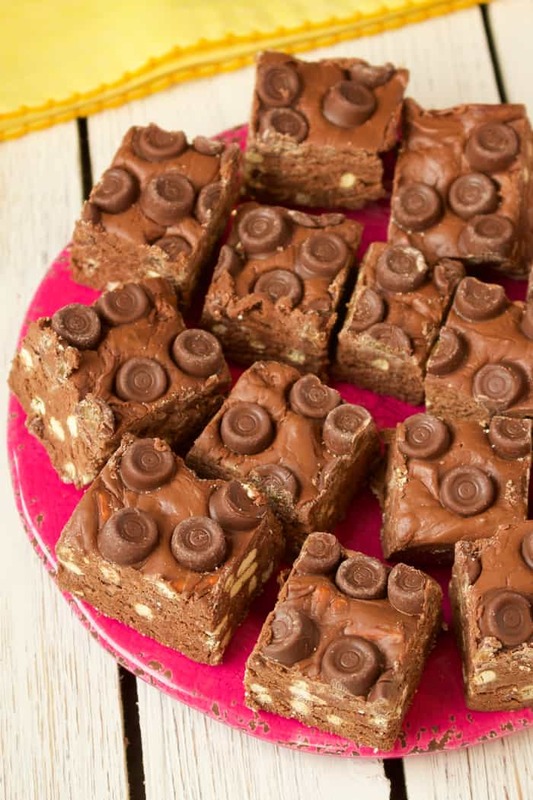 Check out a few of our other favorite treat recipes. 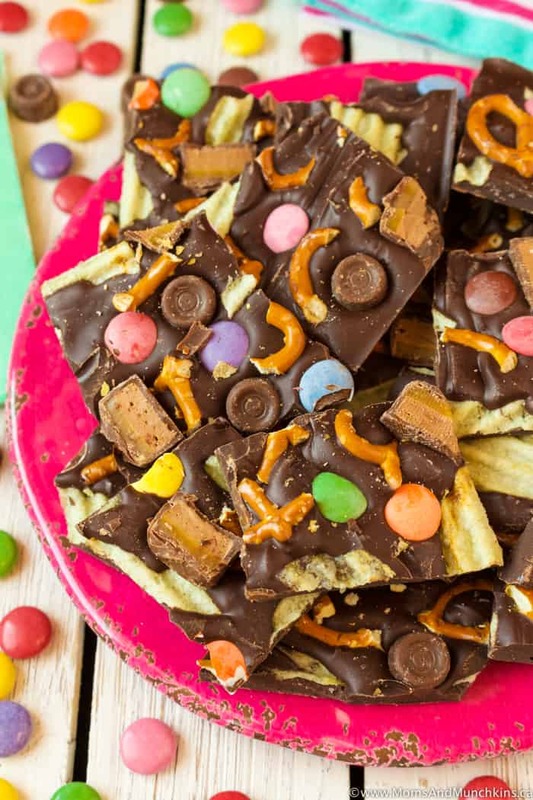 Sweet & Salty Bark – potato chips with chocolate? Trust me, it’s delicious! 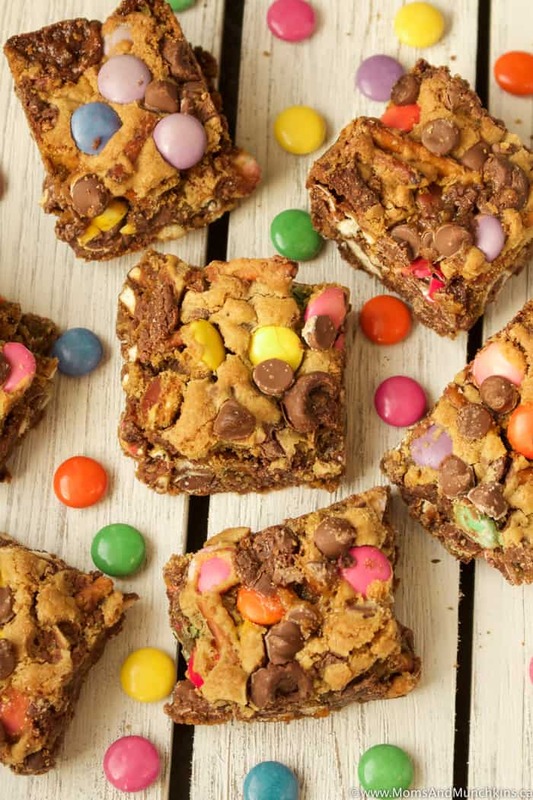 Sweet & Salty Cookie Bars – so easy to make and always a hit at parties! You’ll find more delicious ideas on our Recipes page. Stay updated on the latest by following us on Facebook, Twitter, Instagram and Pinterest.